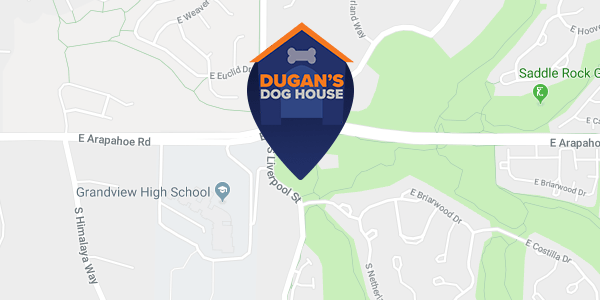 With every visit, you will know why Dugan’s Dog House in Aurora, CO is the area’s premier facility for dog boarding while you are away. 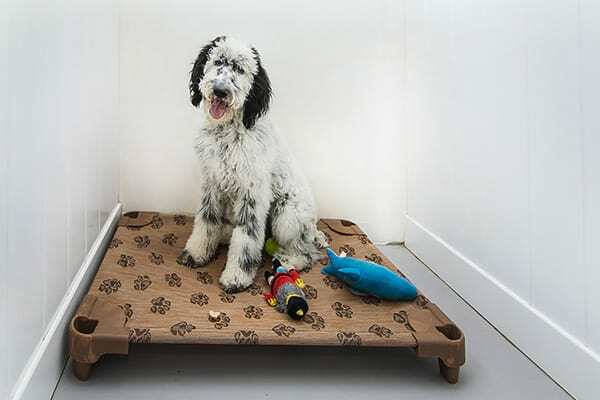 Here, you’ll find a boarding facility that conscientiously and consistently ensures your dog can play and enjoy time surrounded by people and other dogs in an engaging environment throughout the day. Your dog deserves to be engaged and supported! First potty is bright and early at 5 AM! Immediately following, breakfast is served to every pup's satisfaction. Dugan's Dog House is equipped to store and administer all types of food, whether it is kibble, canned, frozen, raw, or any combination of the above. Following recommended digestion time, playtime begins! Playtime includes plenty of indoor and outdoor activities! 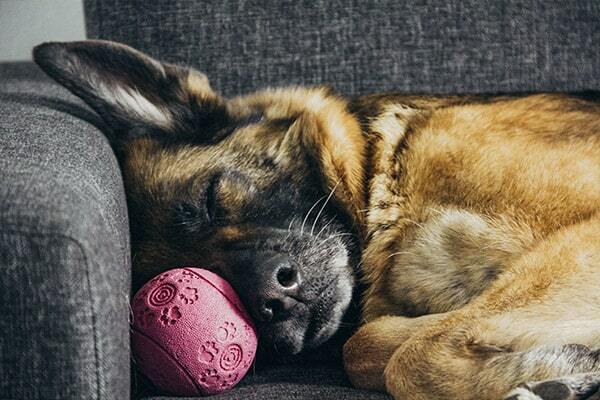 Is your dog crazy about chasing and catching balls? Dugan's offers both morning and afternoon ball playing sessions! Our dogs are quick to find frolicsome companions to engage in tag, beginning with a bow and off they go! Proper play etiquette is positively reinforced by our ever present and attentive staff. For our other merry guests who would rather watch than engage, they are welcome to lounge with our loving staff. Dugan's Dog House understands the importance of a well-balanced and healthy diet for our overnight guests. We recommend parents bring food from home, because it is best not to change your doggie's diet from what he or she is accustomed to. In the middle of the day, there is a nap time for our guests to rejuvenate and enjoy a snack or lunch at your discretion. Socialization and play activities recommence in the afternoon through the evening. Dinner is served at 5:30PM. But wait! The fun-filled day is not over, and dogs have more time with their friends as bedtime does not begin until 8:30PM. When it is finally time to climb into bed, our pups cuddle up in their blankets and reminisce about their memorable day as they slip off to sleep with Canine Lullabies. What kind of fun will tomorrow bring? Dogs over 6 months old must be spayed or neutered. Please call to schedule your temperament test. The price of boarding includes daycare until noon on the day of departure. If the dog is picked up after noon, we charge for a half day of daycare. All boarders who stay 10 nights or more get 10% off boarding fees.